The Brazil Higher Education Workshop will take place in São Paulo on September 8th & 9th 2016. Following the huge success in the last years, we will once again be holding the event as a precursor to the Salão do Estudante student recruitment fair series. The workshop is an ideal opportunity for international institutions and directors from qualified Brazilian universities​ to have one-to-one meetings to discuss working together and the setting up of strategic partnerships. Only the senior staff or the director of the international office of the leading Brazilian universities are invited to provide your institution with a unique opportunity to secure strategic relationships in a concise period of time. 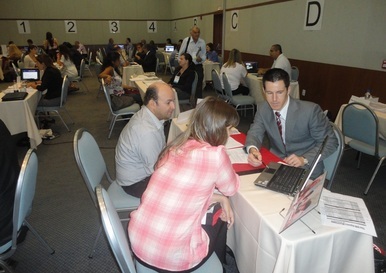 • Pre scheduled individual meetings with prospective schools/business partners from around the world. BMI will provide 2 nights of free accommodation on the nights of September 8th & 9th. Breakfast on the 8th and 9th is included. All registered and confirmed participants will receive a login and password to the Marcom e-scheduling system. The login info will be sent to you by e-mail. The e-scheduling system will be open approximately 1 month before the event date and you will be able to request and confirm appointments with all participating institutions. You will also be able to view a profile and contact details of each participant in the Marcom system. 3. Personal or additional expenses that are not part of the workshop program. The event is sponsored by Guard Me who is one of the world’s leading student insurance providers and has been recognized as the best international insurance provider in the world by various international associations and companies. Guard Me will also be at the workshop to discuss the best plans and options for your agency. The workshop is limited to a maximum of 50 Brazilian universities.